When Thiru Veerapandian expressed the sound idea that people must think before they voted for the BJP’s prime ministerial candidate Narendra Modi, he would not have imagined he would lose the prime-time programme he had been anchoring on Sun TV for 17 years. But since December 20, he’s been waiting for the channel to call him to conduct Vibhada Medhai, his daily debate forum. “I said people should think—not vote for Modi just because there was a Modi wave,” says Veerapandian. “I said they should remember that, if they voted for Modi, they might well have to live with that decision for the next 15 years.” He did not make the comment on the programme either. He made it in his private capacity, at a forum that had nothing to do with the channel: it was an in camera discussion on November 25 of a committee report on the Muz­affarnagar riots. But it was posted online and led to demonstrations by the BJP’s Tamil Nadu unit. The party’s state secretary Sarvothaman complained to the channel in December that the comments were divisive; its leaders threatened not to participate in any Veerapandian programme. The axe fell. All of a sudden newspapers and television channels have become wary of offending Modi. He interacts with the media minimally and selectively. But his name is being breathed in talk about top-level editorial changes in some media houses. Reporters are being asked to pipe down; editors are losing their jobs; prime-time programmes are going off air; commentators are replacing vitriol with neutral ink while writing on Modi. Such is the ‘M’ effect on the media, some believe that proprietors and decision-makers are using it as a convenient handle to control editorial expression. They are often able to justify such decisions by citing the fusillade of harsh, even obscene, online and social media feedback that greets anything anti-Modi. What’s more, in an increasingly corporatised media, political alignment is swivelling like a wind-vane rather than a compass needle. Varadarajan had fallen foul of a new board of directors at the newspaper. He had set rules on the coverage of political personalities in the light of the forthcoming general elections. The new editor-in-chief, N. Ravi, it is learnt, did not approve of how the Modi avalanche was being underplayed. Proprietors seem to think the wind is blowing the Modi way, and are keen to make changes so as not to offend him. Sometimes, there are no explanations of the sort Ravi offered. On October 27, the Hindi daily Divya Bhaskar had screeched in a banner headline: ‘Nehru didn’t attend Patel’s funeral’, a statement attributed to Modi. In fact, Nehru did attend the funeral. So Modi’s bloo­mer (some call it a mischievous lie) and the newspaper’s front-paging of it was subjected to heavy-duty criticism on television channel discussions. Two days later, the newspaper simply retracted the report. No elaboration. Hartosh Singh Bal, former political editor of the weekly Open magazine, wasn’t directly told why he was losing his job or how his proprietors felt about his work. While his articles have been critical of Modi, they have equally scorched Rahul Gandhi of the Congress. “It was conveyed to me by my editor that my exit was due to political pressure,” says Bal. The magazine had put up a cover online with a photo of Modi on a pile of skulls and Rahul on the shoulders of his parents (to indicate dynastic rule). It went viral, after which the staff was told to take it off. Whispers were that the Modi camp had exerted pressure. The magazine has now had a change of guard. A rightward swing at Network 18 is being attributed to its takeover by Mukesh Ambani’s Reliance group. Former editors of Forbes (India), one of Network 18’s magazines, have commented on instructions to go soft on Modi. Four of them, including Indrajit Gupta, quit last year. All television channels, magazines and the online paper owned by the group are learnt to have been instructed to carry material promoting Modi; voices of protest are learnt to have been stifled or silenced. Modi-backing—like mouse click-driven Hindutva—finds vociferous expression in the social media. Its fury recently found a target in Raheel Khursheed, Twitter’s head of news, politics and government in India. A few old tweets of his, now nowhere to be found, were dug up to demand his removal. In one, he alle­gedly said (in a retort to @NDTV) that Modi “oversaw mass murder for fun”. Like Bal, Khursheed has been equally critical of Rahul, calling his political interventions “insipid and uninspiring”. He seems more anti-establishment than anti-Modi—he tweeted in support of a Tahrir Square in Srinagar and said of the UPA’s crackdown on protesters in December 2012, “India banega Kashmir”. But all that is lost on the likes of Sachin Dixit (@India_MSM), who started a campaign and gathered some 5,000 ‘signatures’ to have Khur­­sheed sacked. Khursheed did not respond to texts seeking comment. If such is the influence on the media at the national level and online, in Gujarat, of which Modi is chief minister, the attempt to control is exerted to a greater degree. The management of a top business magazine was informed that their state correspondent was not welcome to do the cover story on the Vibrant Gujarat Global Investors Summit, a bi-annual event meant to showcase what Modi has done for business and industry. Months ahead of the jamboree, bureaucrats fan out across the world to garner participation and presence. And in Gujarat, hardly a week passes anyway without the government doling out print and television ads countrywide, showcasing Modi’s dramatic plans, such as one for installing a tall statue of Sardar Vallabhbhai Patel. Advertisement staff of publications and television channels are homing in on Gujarat to make the most of the splurge. While it cannot be said that this has always eroded the wall between advertising and editorial, its effects are indeed visible. 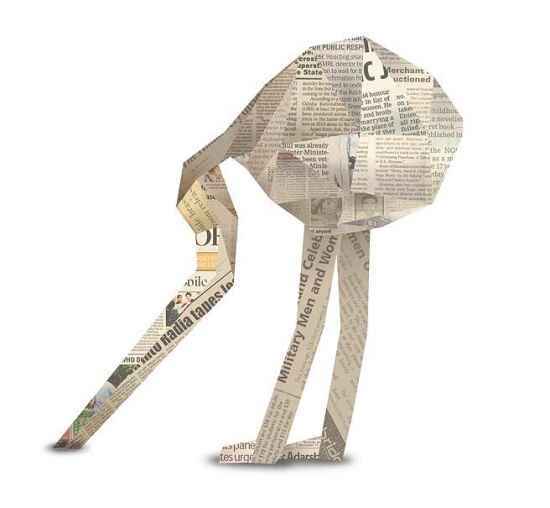 In tandem with Modi’s asce­ndancy, they form a potent field-force, one that is changing how the media is being run. Sadly, first principles are being abandoned, heads are being buried in the information avalanche instead of being used to critique it.